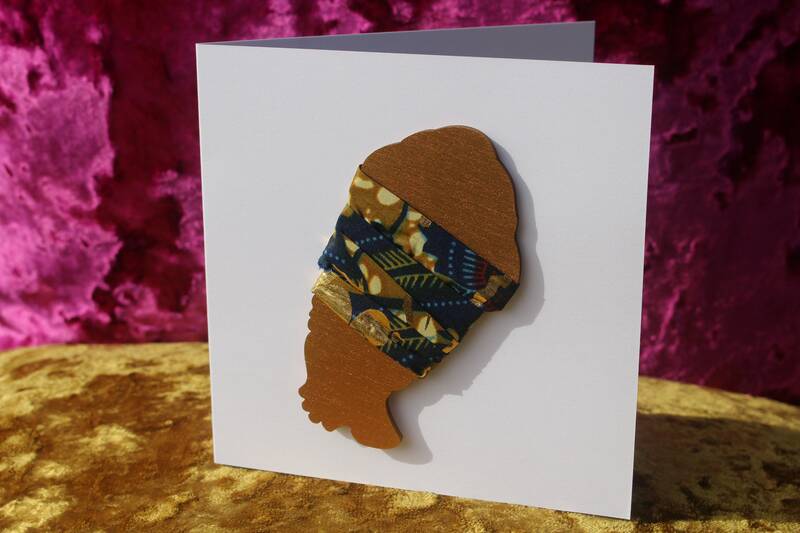 Our handmade card collection is bursting with beauty, colour and culture, making them perfect for any occasion. 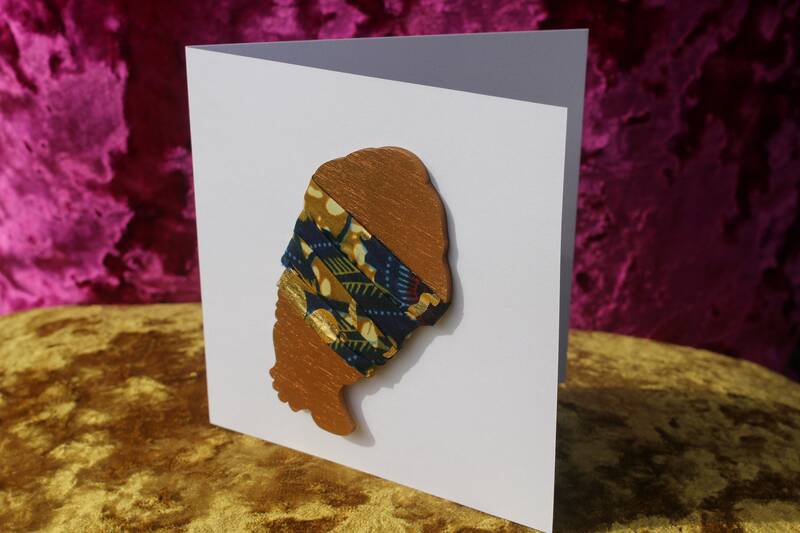 Blank premium 300GSM cards are embellished with wooden African faces sprayed a glistening gold, and decorated with some of our vibrant African Wax Prints and cultural beads or cowrie shells. 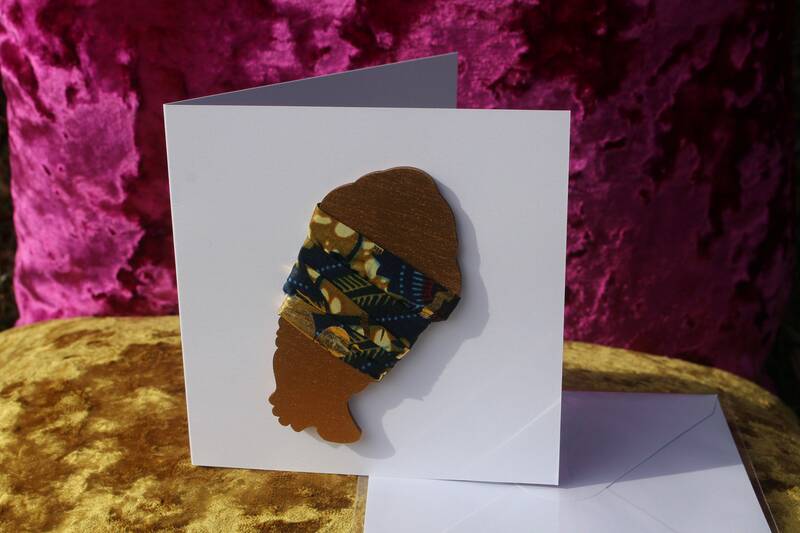 Ideal for birthdays, engagements, weddings and girlfriend, boyfriend, husband or wife. 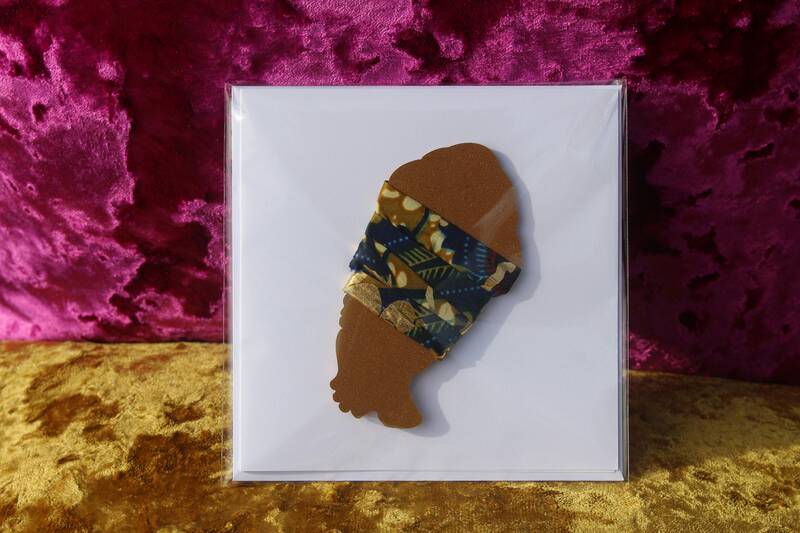 Use as wedding invitations and receive 20% off.